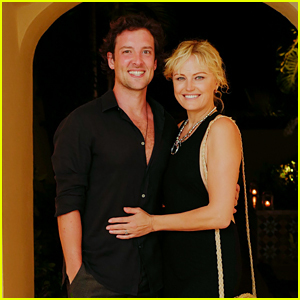 Malin Akerman and husband Jack Donnelly pose for a photo while attending a dinner party to celebrate new fashion line Stærk Christensen on Saturday night (April 13) at Dorado Beach, Ritz-Carlton Reserve in Puerto Rico. The newly married couple joined celebs like Adrien Brody and Brooke Shields for a fun weekend getaway to celebrate the new resort line of swimwear, accessories, and more. The brand’s founders Helena Christensen and Camilla Stærk hosted the weekend with Daniel Benedict, who attended with partner Andrew Saffir. There were beachside dinners on both Friday and Saturday night, as well as a trunk show on Saturday afternoon. “Loving my new @staerkandchristensen glasses…enjoying the sun @doradobeachreserve Thank you for an amazing weekend 💛,” Malin captioned the below photo on Instagram. Laura Harrier Continues to Stun on the Red Carpet in Cannes! 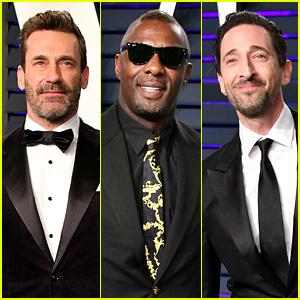 Margot Robbie Joins Edgar Ramirez & Sienna Miller at Chanel Oscars Pre-Party!